Every food product should be preserved in a good packaging. There are many kinds of packaging for salad boxes which include dying cut boxes, plastic transparent boxes and disposable salad boxes. Among all the transparent window boxes are so popular and people prefer buying food and salad in transparent window boxes. Because everything is visible in the box, customers can easily see what’s inside the packaging. Our boxes are fully sterilized and made to keep the salad fresh and green. 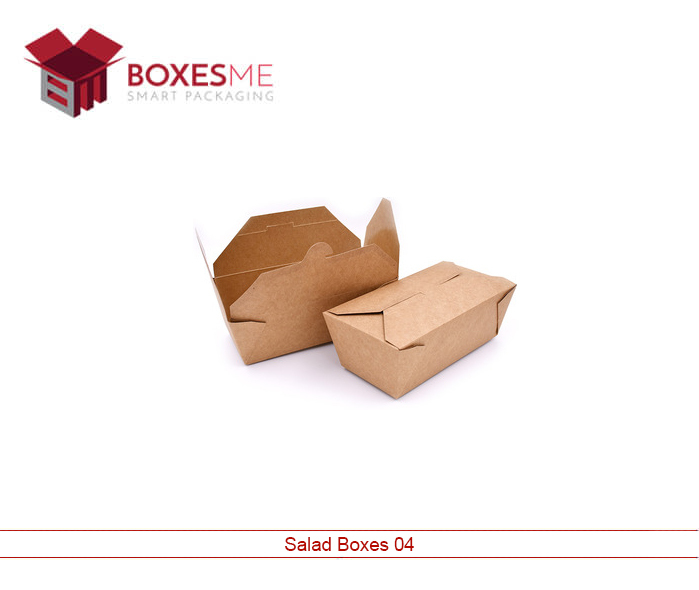 We are among those few companies that provide packaging for salad boxes and guaranteed about the quality. Our packaging is cost-effective and of superlative quality which can be easily seen in the packaging. You can feel a visible difference in our product when compared to other companies product. Our boxes are very unique and distinctive in the market. These boxes are made from high-quality cardboard which protects the product. Our packaging adds extra value to your product and helps it to be recognized in the market with its extra-ordinary layout. We also offer small food packaging boxes with window. Our salad boxes can be adjusted in any sizes. We can change the colour of the packaging to our customers. We offer full customization of boxes to our clients. These boxes have different beautiful colours and unique designs. 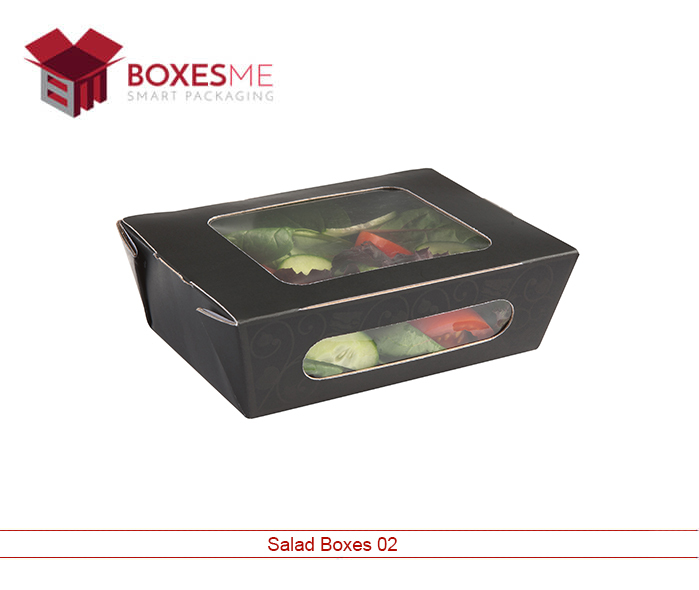 Our small food packaging boxes with window keep your salad safe and fresh. Offering a wide range and dimension of custom boxes helps you to choose the right expression that suits you well. These salad boxes are made of cardboard and are totally recyclable. These can be reused, and biodegradable. Our boxes help to isolate also, by trying to stay in the exact shape when it was manufactured and try not to d-shape the inner shape of the products. It helps to maintain an optimized temperature inside the box, resulting not to cause any damage to the fragile products. Boxes strive to provide the best and cost-effective packaging to their clients. We offer to package at a comparatively low cost than the others. Our packaging is unique and has a visible difference from other’s packaging. We have designed our packaging keeping the sensitivity of fragile product in our mind. 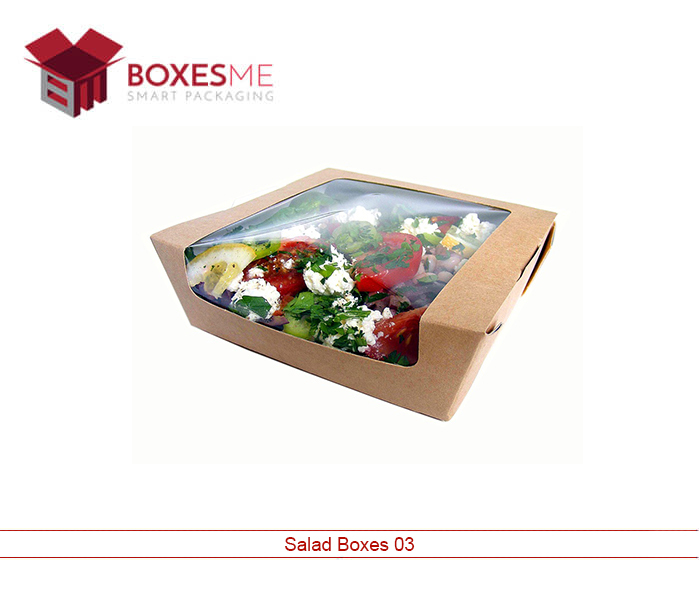 We know that the product like food and salad needs a special preservation method to be preserved in boxes. Our boxes are highly cost-effective and made from high-quality material. Our boxes have a unique design and strong enough to protect a sensitive product. Our boxes can be customized in different sizes to different colours, different shapes to different designs. We already have special designs for boxes which are distinctive in the market. We provide you with the best boxes which are designed by our team with the full devotion. We offer a wide range of designs of boxes which can be customized into any size. Our boxes are unique in every way and its quality is guaranteed. 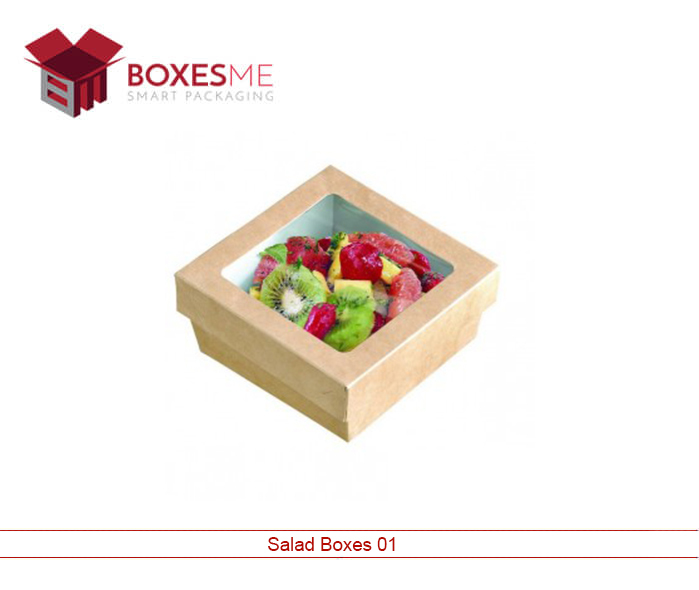 The boxes we made are cost-effective and save a lot of money in comparison to other manufacturers and suppliers of salad boxes.